Roller derby demands tactical strategy, physical strength, explosive power, and quick reaction time. But to make all of that happen, you need your mental muscle working for you too! 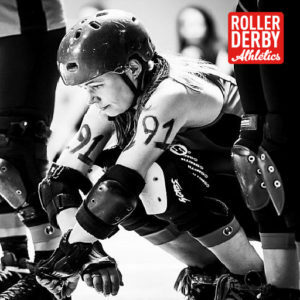 This week I’m pleased to have a fantastic guest expert on board to share her expertise on this essential piece of the mental side of roller derby. “Jess Bandit” is well known and much feared as a former Team Canada skater, and current powerhouse for Montreal’s New Skids on the Block… and also happens to hold a Master of Human Kinetics in Intervention and Consultation in Sport. 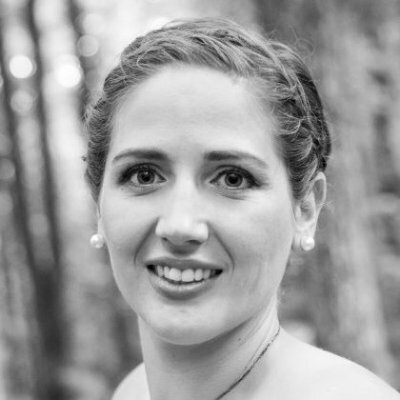 A student member with the Canadian Sport Psychology Association, Jess Paternostro has worked with amateur competitive athletes and coaches to help them strength their mental game through teaching mental skills training and preparation. She has worked within a variety of sports: such as boxing, hockey, basketball, judo, sailing, soccer, ballet, wrestling, and roller derby. In addition to coaching Roller Derby Masculin Montreal (MRDA), Jess was the assistant coach for Men’s Team Canada at the 2014 and 2016 World Cup, and will be head coach of Women’s Team Canada for the 2017 World Cup. PS: this image of skater NazDroveya Wylde deep in focussed thought is courtesy of my fave skate shop, Rollergirl.ca! As Booty said in her intro, roller derby requires a lot of complex physical skills to come together. But to achieve excellence in the moment, and under pressure, you must also master focus. Check out this list! No wonder derby can feel overwhelming at times. This is where focus comes into play. Focus is your ability to concentrate on certain key elements (aka cues) in your environment. Having a strong focus can allow you to concentrate on these cues efficiently and effectively. The good news is, focus is a skill! Like many other skills, your focus can be strengthened through practice! So let’s get to it and start working on your mental game TODAY, starting with understanding the different ways we can concentrate our mind. Broad focus allows you to step back and observe several environmental cues at once. This type of focus allows you to pinpoint one or two specific cues. By being able to zone in on a specific cue, it will allow you to react to it more quickly. Think about the beginning of a jam when you hear “Five seconds!”Are you focusing on the jam whistle? That’s a type of narrow focus. This focus is directed inwards on your thoughts and feelings. Every time you internalize a thought, engage in self-talk, or contemplate a decision you made in a previous jam, you are using internal focus. This is when the focus is directed outwards on external objects or people. Basically, external cues that you cannot control. For example, concentrating on the score, the time left in the game, the crowd, the temperature, a referee, a coach, etc. Can you use more than one dimension of focus at once? Internal-Narrow (internalizing on one cue). So which dimension of focus is the most important? In short: they all are. 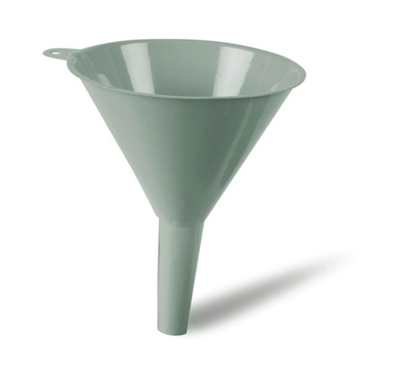 In order for the funnel to work properly, you need all four components. The same goes with your focus. All four aspects are needed to gain a better sense of what is happening around you, to internalize a plan of action, to execute a block or juke in a specific moment, and to adjust your plan depending on external cues such as a penalty or score. Now that you understand the four different dimensions you can harness your focus in, here are three simple strategies you can apply at your next practice. 1. Stop going through the motions and connect with the moment. When we’re used to a routine, we tend to float through the task with no thought. This can even happen to us on the track. We go through the motions but are not fully invested or connected in the moment. TAKE THAT MOMENT BACK! Forcing yourself to focus on the moment will be key during games when you need to re-focus / re-group. Next time you put on your skates, take the time to focus on every step. Try to use as many of your senses as possible, especially sight, touch, and hearing. See the details on your skates, wheels, and laces. Do you have visible wear and tear on your skates? Try to stay focused on the details in this moment for as long as you can. This will not be easy! Random thoughts can travel through your mind. Record how long you were able to stay focused. With practice you will see a gradual increase in the time. It’s pretty easy to get lost in a daydream if we’re not focusing on what we’re seeing in front of us. You can increase your focus by paying attention to where you are staring. Next time your coach speaks at practice, make a connection with your eyes. As you are listening to the drill, make sure that you’re concentrating on your coach, from their words to their overall body language. Try not to get distracted by the people around you or the thoughts that may enter your mind. During practice, it’s easy for your mind to travel. You can be thinking about a mistake you made a few moments ago or what you need to do when you get home from practice. As soon as you catch yourself thinking about the past or present you need to STOP the thought, and come back to the present.. Think about what you need to do at that very moment! Ask yourself “what do I have to do now?” and then focus on that task. Your mind is the only part of your body that can travel to the past and the future. Focus requires staying in the present. Remember, you can’t compete at your fullest potential while thinking about the past, or trying to predict the future. Having strong focus skills means that it will be easier for you to control what you are focusing on (task, moment, feeling) and connect with it. Now, Booty and I want to know: what tricks and cues do you use to help you focus during practice, or a bout? Let us know by leaving a comment below! UPDATE: Jess Bandit has now joined RDA as one of our regular coaches! If you want to keep improving your focus, and your mental game in general, become a Member and get her exclusive professional sport psychology training series to your inbox every other week! Learn more about membership options here. On gameday on the line I watch the opposition, try to take in what they’re doing what they’re saying with or without words (non verbal stuff/stance/posture) helps me focus on what i’m going to do to stop them,which is the best way for me to visualize what I want to do. It stops me from getting in my own head and keeps nerves at bay! This is a great example of using the different dimensions of focus! You take in what’s happening around you (broad-external) and use the information to develop and execute a plan (narrow-internal). You’re focus in the moment! “It stops me from getting in my own head and keeps nerves at bay!” -Yes this is true! By concentrating on cues happening around you to stay in the moment, your mind has no space to think about nerves or random thoughts. I find that if I just focus on each jam, I dont get nearly as worked up and can remain calm, which has been helpful to my teammates. Especially the newer ones. They seem to look at me and see I am calm and are able to stay calm as well. At least that’s what Ive been told. I also try to only look at the score at halftime and at the end. My favorite scrimmages are the ones where the score isnt tallied. So I try not to let the score dictate how Im going to play. I should be playing hard from the first to last jam regardless of the score. Yes, one jam at a time is a great way to help you stay present in the moment! 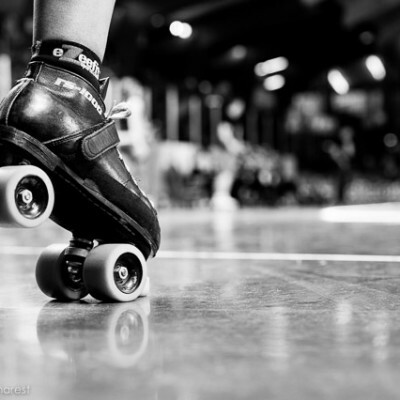 The game of roller derby is divided into jams, why not use it to our advantage! It allows you to focus on what is happening NOW and, more importantly, what you need to do in that given moment (using the 4 dimensions of focus). By taking it one jam at a time, it helps prevent dwelling on past mistakes or get caught up trying to predict the outcome of the game. Slightly OT, but I find that my awareness is really messed up if I look at my phone too much before a bout. I now try to make a point of exercising my eyes by looking at close things, then far away things, in different directions. If my eyes are too used to focusing just in front of me, I can’t take in the whole track quickly enough. I have key words that have become a huge part of my mental focus and I write them on my arm before games. In between jams or when my mind starts to wander I focus on my words and repeat them in my head as a mantra. Thanks for the great article! Love it! I have started to see more and more skaters with ‘focus’ words written on their arms or knees above the pads so they can read them when sitting on the bench!